bringing Her a message of hope and love. Angels arrive. Angels care. Angels listening. 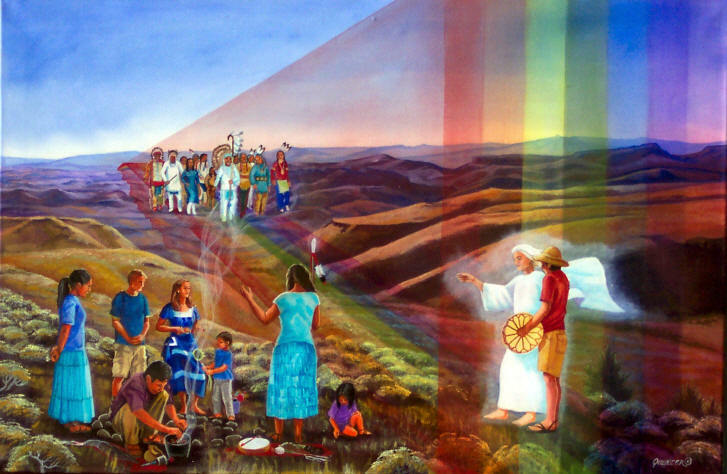 Invoking the Healing Light across the land and into the hearts of the Rainbow People. bringing into the Flower of Life Sacred Geometry active symmetry. Angels watch. Angels inspire. Angels gifting. carrying the eyes of believers to unseen lands, now renewed in Sacred Ceremony. Angels white. Angels bright. Angels lighting. A touch by spirit, joy emerges, euphoria wells up, hue-mans are the Rainbow Warriors. Keepers of the Earth unite over transparent high ways of friendship and covenantry. Angels testify. Angels manifest. Angels transforming. declaring Love, Joy, Harmony and Eternal Peace on Earth planetarily. Angels transfixed. Angels mesmerized. Angels recalling. In golden accomplishments of Light Everlasting strengthened by eternity. Angels pure. Angels defer. Angels delighting.